Bringing together Portland’s two favorite activities for one weekend mash up. 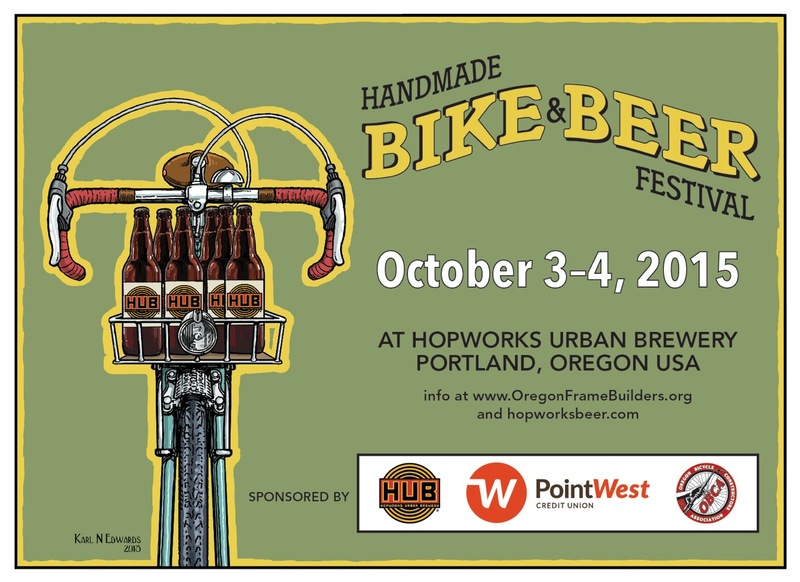 This year the family-friendly Handmade Bike & Beer Festival takes place on October 3rd and 4th at Hopworks’ Powell location. The festival features over thirty custom bike-frame builders showcasing their handmade bicycles, local brewers pouring refreshing hand-crafted beer, along with bike performances, live music, local food vendors, fun and games for all.